Only in the past month, the prices of regular and premium gasoline saw an increase of almost RD $ 17.00, since March these rose RD $ 16.7 and 16.8 respectively. For today the Ministry of Industry, Commerce and SMEs (MICM) applied new increases of RD $ 1.70 and RD $ 0.60 for these two fuels, so the trend continued several weeks ago of rising prices. If you add the rise of last month and this first week of April, between both gasoline there has been an increase of RD $ 35.8 in their prices. 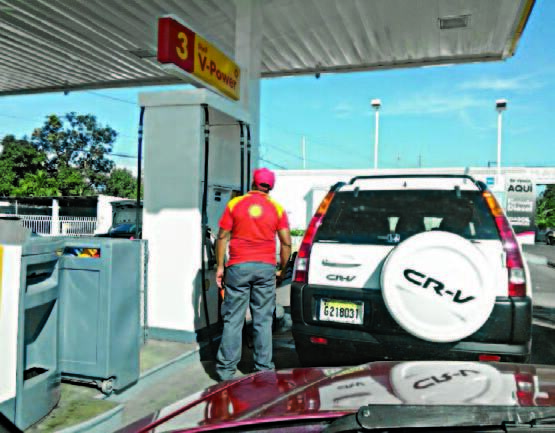 A press release from the MICM indicates that as of today there will be an increase of RD $ 1.70 to the gallon of regular gasoline, a low RD $ 1.30 to the optimum gas, oil and an RD $ 1.40 reduction in the gallon of fuel oil, according to the resolution that establishes the prices for fuels during the week of April 6 to 12, 2019 of the state agency. With the new provision, the premium gas gallon is placed at RD $ 239.00, it goes up sixty cents; Regular gasoline at RD $ 224.70 per gallon increases RD $ 1.70. Likewise, regular diesel will continue at RD $ 180.20 per gallon, maintaining its price; the optimal diesel at RD $ 193.20 per gallon, RD $ 1.30 low and the avtur (aviation fuel) will be sold at RD $ 142.70 per gallon, maintaining its price. Kerosene will be RD $ 169.60 per gallon, so it remains unchanged. While a gallon of Fuel Oil will be RD $ 122.36, RD $ 1.40 goes up, liquefied petroleum gas (LPG) follows RD $ 103.10 per gallon, maintains its price, like natural gas that remains at RD $ 28.97 per cubic meter. Justify. In the note, the MICM reports that the WTI traded in New York fell 36 cents, or 0.6%, to 62.10 dollars per barrel, while traders and investors continued digesting Wednesday’s data showing an inventory of crude oil of 7.2 million barrels last week due to problems in the Houston Ship Channel that slowed US oil exports. “A fire at the end of last month in a chemical storage facility in the ship canal led to the temporary closure of the center, interrupting crude exports. US oil shipments UU decreased,” he says.